Rimkhobfa City, the international starndard workshop and hosting venue in Samut Prakan, Thailand. 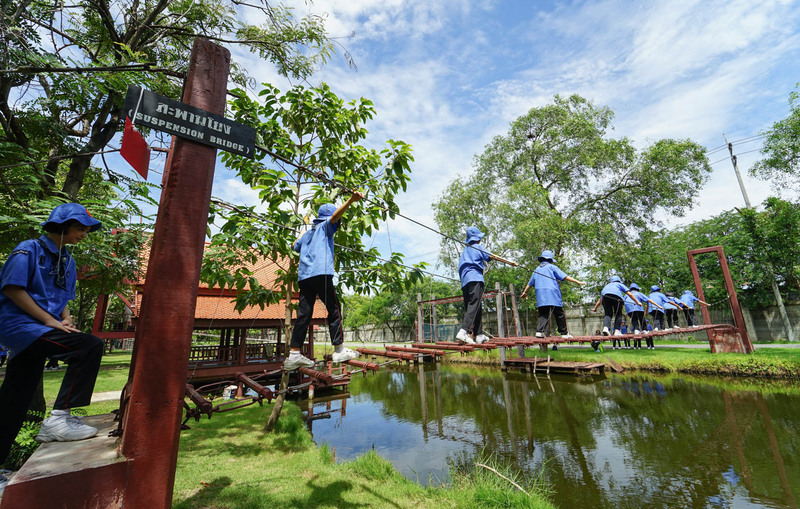 This is a unique place to learn and build relationships, while incoporate the traditional settings of the Ancient City, the first outdoor museum in Thailand. At Rimkhobfa, we welcome organizations and individuals alike to come and learn more about teamwork. We help organize activities to enhance learning skills. Practice discipline for the group. There is also a large meeting venue that can accomodate up to 600 peoople on site. We offer challenge stations on our grounds to help build teamwork. It is moreover a great venue for celebrations and banquets. 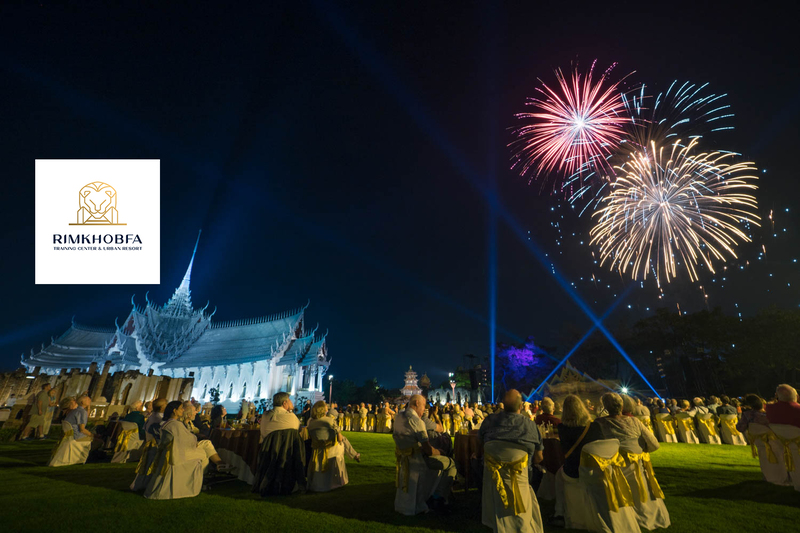 Here at Rimkobfa City, we aim to conserve the arts and culture of Thailand through real interactions with our guests. A clean, convenient, and safe venue for service. This is an excellent venue for any agencies to visit with various types of event venues available, we offer many selections of conference hall including, Rimkhobfa Conference Hall, Panapruk Conference Hall, Fah Kram Conference Hall, Fah Ngum Conference Hall. 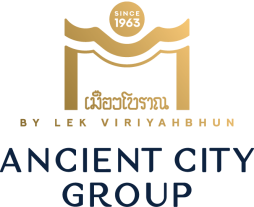 Other than this we offer Thai style housing Pruksa Thai Villa and Rimkhobfa Urban Resort. These conference venues are available for seminars and conference. We also have different challenge stations for groups improve their team work and team effort. Size: 16 x 35 sq.m. Size: 24 x 32 sq.m. Suitable for: Indoor training, indoor recreation with catering service for different ceremonies. The area can be divided into different sections for flexible usage. Size: 12 x 25 sq.m. Suitable for: Large meetings and group training sessions. Equipped with air conditioning. Large projector and a stage. Size: 8 x 17 sqm. Size: 5 x 10 sq.m. Suitable for: 20 - 25 persons per room, total of 15 rooms. Size: 4 x 8 sq.m. Suitable for: private relaxation, family, and group. 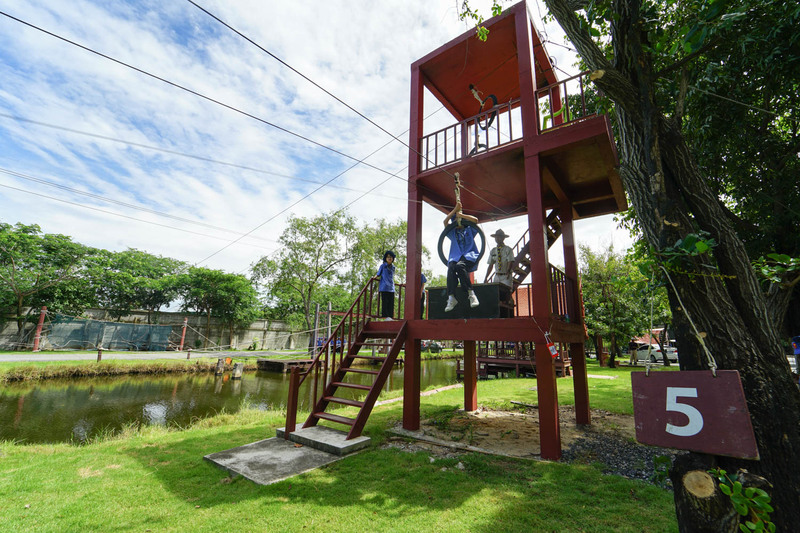 Rimkhobfa Urban Resort is located centrally, only 30 minutes from the airport. The location is convenient and suitable for a relaxing trip. The hotel is next to the old Sukhumvit Road in Samut Prakan Province, next to Bangkok. During your stay, you can also explore the beauty of the Ancient City that preserves the traditional Thai way of life unlike anywhere else today, come spend your time in a oasis and feel like you had gotten away from the everyday chaos. Suitable for: Students/ Families / Businesses / Companies etc. (Southern Line - Pak Nam) Please get off at the very end of the line then change to Songtaew Local Bus Number 36. The local bus will take you through the front of the Ancient City. Private car: Take the expressway heading to Samrong - Samut Prakan. When you reach the intersection, please turn left on to Sukhumvit Road (towards Bangpoo). At 33 Km. Point, you will see the Ancient City to your left.